Web analytics is the measurement, collection, analysis and reporting of internet data for purposes of understanding and optimizing your publishing & marketing efforts. Utilizing tools such as Google Analytics we are able to monitor and optimize the aggregate traffic that is coming to your website. 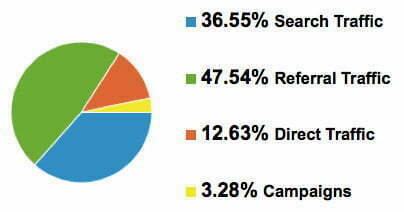 In addition to measuring website visitors & traffic, analytics can be used as a tool for business and market research. There are several specialized software packages that we use to assess and improve the effectiveness of a web site. Web analytics applications can also help companies measure the results of traditional print or broadcast advertising campaigns. Used correctly, analytics can help to estimate how traffic to a website changes after the launch of a new advertising campaign. Web analytics provides information about the number of visitors to a website and the number of pageviews. Additionaly, analytics software helps to gauge total traffic and the popularity of trends which is useful for market research. Get a free Analytics Consultation. We'll take a peek at your peaks and valleys. We'll help you make sense of your traffic and drive more traffic. Ohio Web Agency has some of the best SEO engineers in the business. Our SEO technicians follow the guidlines set forth by the major search engines and utilize “white-hat” tactics only. Helping you to generate organic traffic that can increase your revenue. Let us help you move ahead of your competition. SEO that works.